I have always liked arts and crafts since young. When I was ten, we had to pick an extra-curricular activity and mine was the arts and crafts club. I remembered making a macrame pot hanger back then. Since then, I've upholstered wooden stools with cow print fur covered foam, made myself a yoga bag for carrying my mat and also recently a handbag from old vintage Japanese obi belt, sewn several placemats, soft toys, beaded dangling things on everything from shirts to bookmarks! 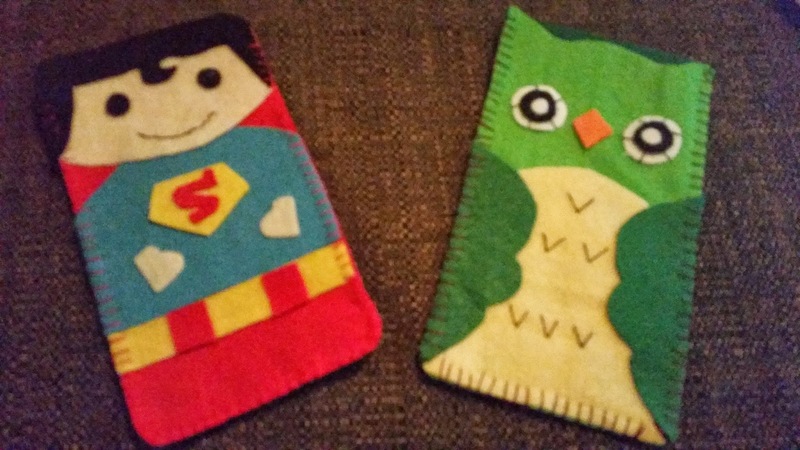 Recently, I've been inspired to make felt phone cases and particularly, superhero phone cases. I've made Batman & Robin and Superman. Then I broke from the mould and couldn't resist an owl. But I think I'll go back to making another Batman and also a Captain America. I need to go buy some more black felt first. 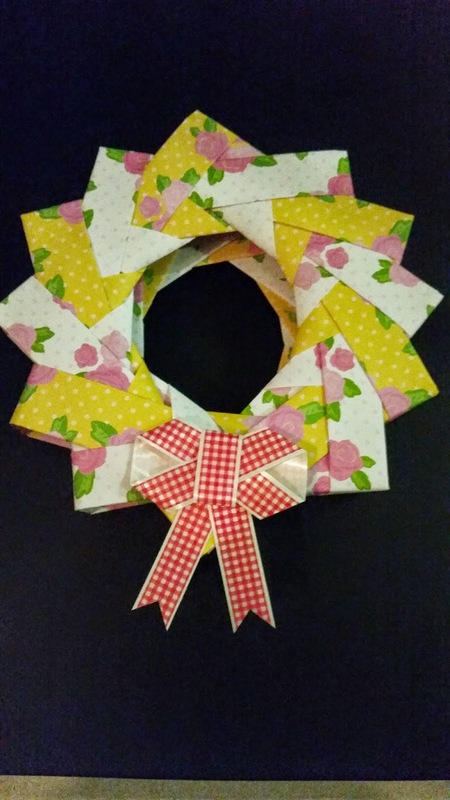 The other item which I have been making a few of is this origami Christmas wreath. Once I got the knack of it, I was really quick if I focused and didn't get distracted by the TV. I was making a wreath in about 16 minutes. I like the 3-dimensional form and it makes such a simple but lovely holiday decoration. There is something deeply satisfying in making something with your own hands. We connect with the output and feel a sense of achievement, even self-worth. And that is why the hand made movement is making a comeback. People are willing to pay more for something hand made by an artisan. And artisans are willing to make things for sale, even though if you take the time put in, in some cases, the hourly rate is very low. As for me, I will make the things I like for myself and my friends and family. I don't think I will put them up for sale because the hourly rate will not be worth my time, but the ability to give my loved ones something hand made will be priceless.